A 15-year-old boy is dead following a hit-and-run near Lockport, Man., north of Winnipeg. 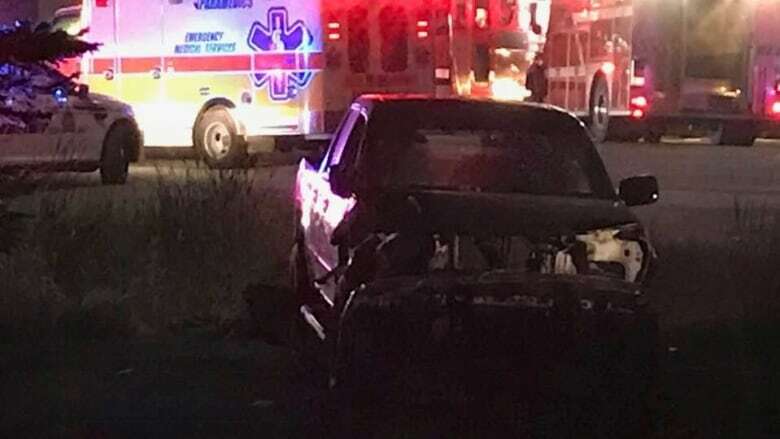 The crash happened Friday night, when two 15-year-old boys were riding their bikes on the shoulder of Donald Road near Highway 9 in the rural municipality of St. Andrews, RCMP say. A vehicle swerved off the roadway and struck them, throwing the boys into the ditch. One of the boys was pronounced dead at the scene. The other was taken to hospital with non-life-threatening injuries and is in stable condition. George Pike, mayor of St. Andrews, said his community is still trying to piece together what happened. On Saturday, he did not yet know the names of the boys but said when names are released, St. Andrews will support their families. "I want to send condolences," he said. "All the people of St. Andrews are shocked by this incident." Emergency crews responded to the crash at about 11:45 p.m., RCMP said. 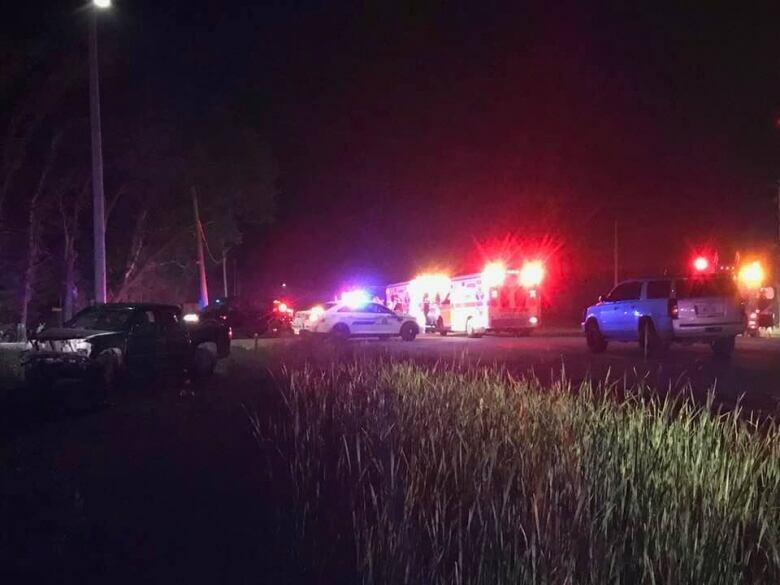 The boys were hit within metres of the St. Andrews Fire Hall and local fire fighters and emergency medical services (EMS) workers were among the first to arrive. The driver took off on foot after his vehicle became lodged in the ditch, RCMP say. Using dogs, police quickly located the suspect, a 29-year-old man from Calgary, in a vehicle on Donald Road. Police believe the vehicle involved in the crash was stolen in Winnipeg and the driver was impaired by drugs when he hit the two boys. He is facing multiple charges in relation to the incident, RCMP said. Brent Polson lives near where the collision took place. He was returning from a friend's home at about 11:30 p.m. Friday night when he saw the flashing lights of police cars from his driveway. At first, he didn't think much of it, but knew something was wrong when more police and the St. Andrews Fire Department arrived. He walked down to the scene and saw two ambulances and a truck that was badly damaged, with the front grill and lights missing. A police officer approached him and told him to stay where he was, as the area was considered a crime scene, he said. The collision hits close to home in a small community where the kids who were hit could be his neighbours, Polson said. "It just makes you hold on to your little guys that much closer," he said. The community has experienced its fair share of loss with other youth being killed in collisions in recent years, he added. "It's just another devastation and a lot more for the young people to bounce back from," he said. By Saturday morning, the only sign a crash had taken place was a temporary stop sign. The previous sign was knocked down in the collision Friday, mayor Pike said.